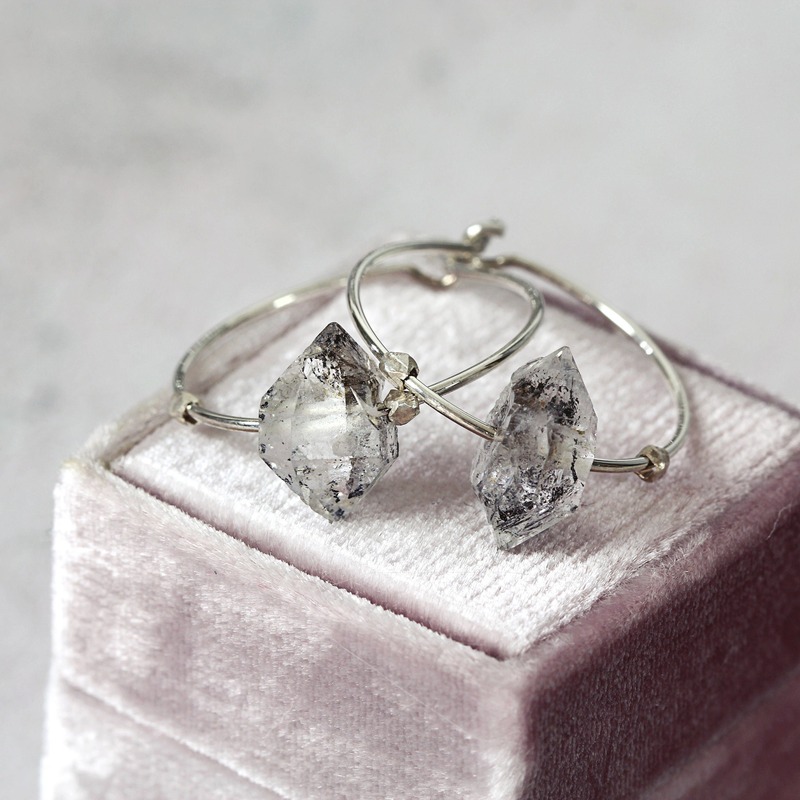 Modern, minimal and elegant, these crystal hoop earrings are perfectly set to keep you looking fresh and fine throughout your day and long into your evening. 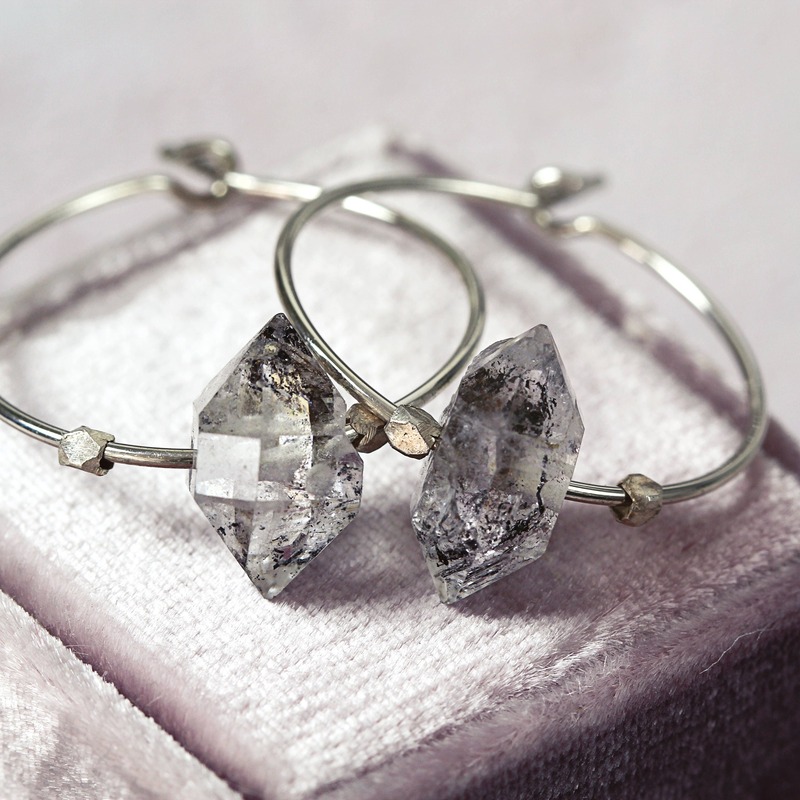 Gorgeous, natural, flecked Herkimer diamond crystals twinkle and shine on sterling silver hoops. Framed each side by handmade Karen Hill Tribe silver beads. 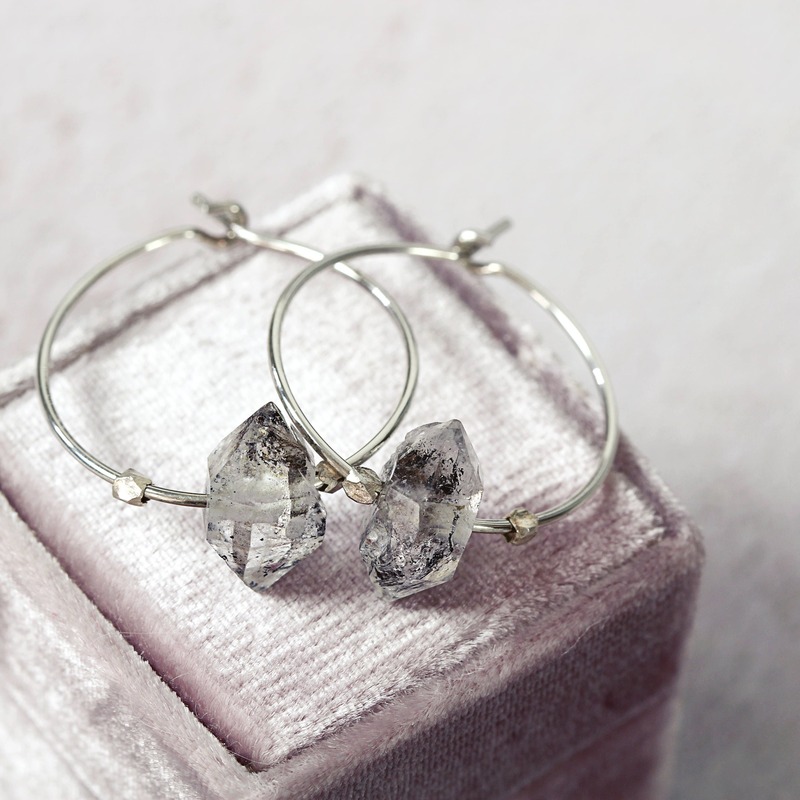 Lightweight and easy to wear, these stylish crystal hoop earrings make a gorgeous gift for a loved one - for mum, sister, wife or a friend - for any occasion such as a birthday, a graduation, a wedding, anniversary, Christmas or Valentines Day gift. Ideal for those who like their style to be modern and elegant. Herkimer diamonds are the most powerful of all the quartz crystals - they are said to be exceptional healing crystals for people as well as our environments. Reported to strengthen the immune system, boost energy and creativity, and also helpful for those wanting to discover new horizons and a fresh start. 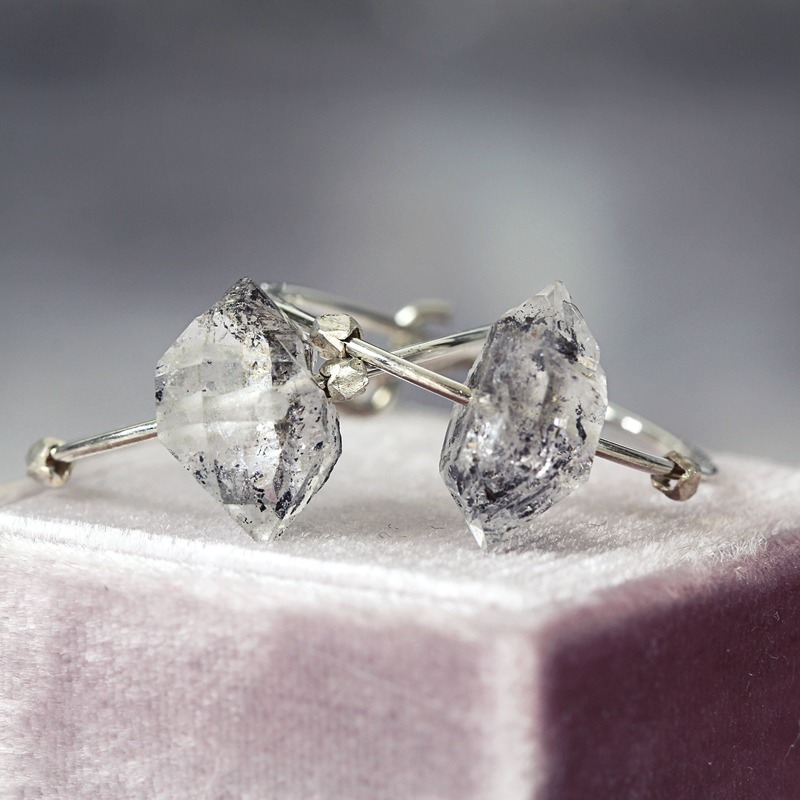 Also available with smaller, clear Herkimer diamonds - please see full Artique Boutique earring collection. 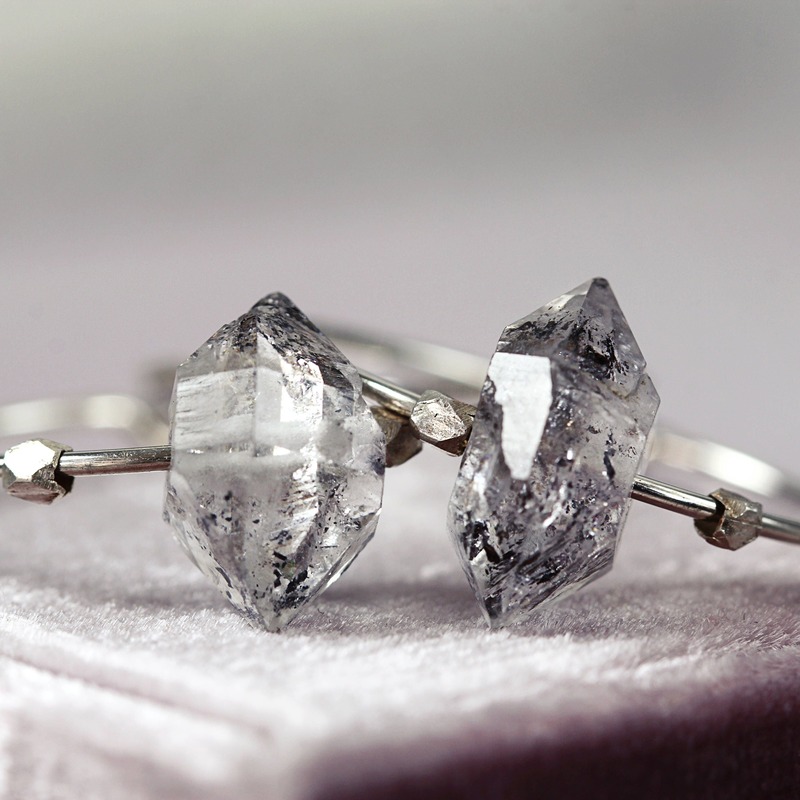 * Herkimer diamond stone vary between approx 11-13mm high on average.